This project was entirely self devised and was driven from a need for an improved bike frame and lack of funds to buy and off-the-shelf unit. 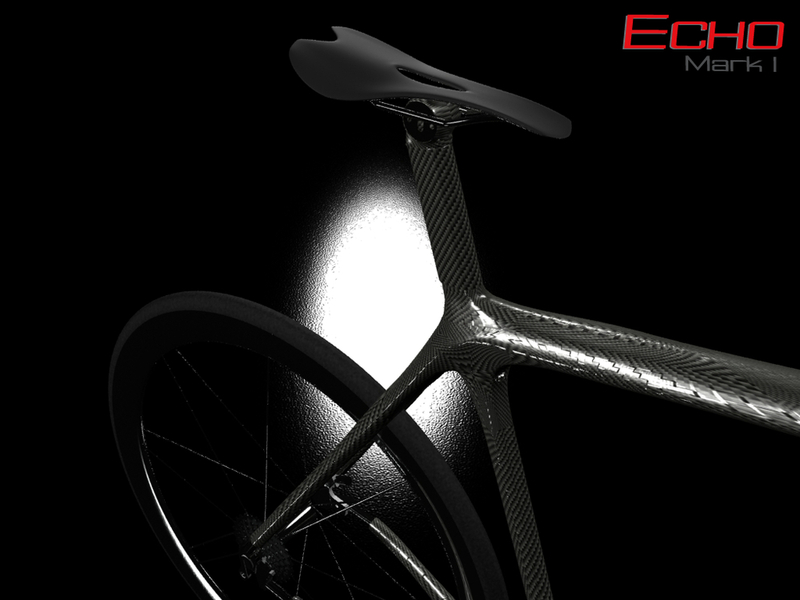 At the time, the notion of designing and building a competitive carbon fiber racing bicycle frame seemed completely practical and eminently doable. After speaking with several specialty fabrication shops about titanium fittings for such things as the wheel dropouts, I made a number of important design decisions about which parts had to be locked into the design. 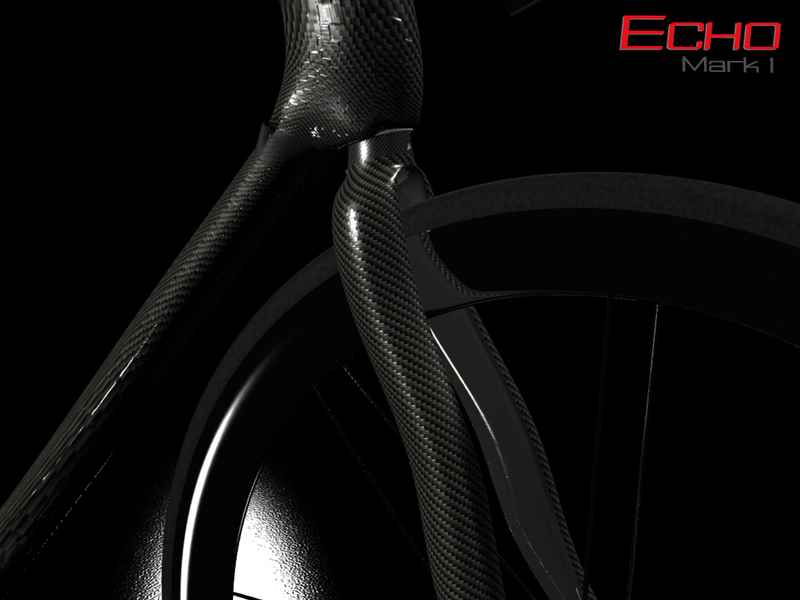 After this point the exercise became to connect the dots of the fixed components with carbon fiber while giving it both form stability and minimizing aerodynamic drag. Using the 3D modeler Rhinoceros 3D and the plug in T-Splines, I was able to create shapes and geometries which Rhino would have had trouble with while maintaining the ability to machine them with CNC tooling. A screen capture of the finished frame showing dropout fits and seat and stem mounting.